Consideration for others is the most frequent reason for buying a funeral plan. With C. W. Mottram you know that your loved ones will be spared some of the burden of bereavement. You'll have specified every detail of the funeral in advance and made provision for the costs. Once you've paid for your plan, you can be sure that neither your loved ones nor your estate will be asked for a penny more for the services within our control - as listed in your plan paperwork - as long as your requirements do not change and we carry out your funeral. Contributions from yourself can also be added towards third party costs outside of our control - such as cremation/burial costs and medical fees. The option of payment by easy monthly instalments over 1-5 years. The funds are administered by a Ecclesiastical Planning Services to ensure your money is secure. The opportunity to pre-select us as your funeral director, therefore providing your family with access to professional support and advice at the time of need. The freedom to alter your arrangements at any time (there may be more to pay if you add additional services and features). A full refund if you cancel your plan in writing within 30 days (after 30 days the management fee will be deducted from the refund). 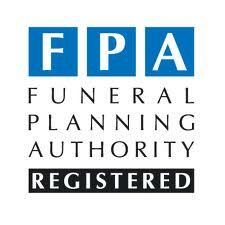 For further information regarding Pre-Paid Funeral Plans, please contact us. Funeral Plans Offered In Association With Ecclesiastical Services Limited.